South of Tampa Bay and north of Ft. Myers lies the quaint but adventurous town of Sarasota, Florida. 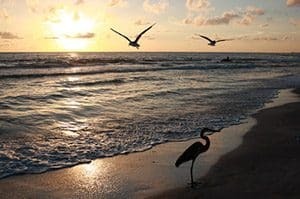 Located within easy driving distance of numerous beaches and outdoor adventures in the local keys – including Lido Key, Casey Key, Bird Key, Longboat Key, St. Armands Key and Siesta Key – Sarasota makes for the perfect destination for any beach lover. Though Sarasota has started to really boom recently, it has a long, historical past that reaches all the back to early natives, before Spanish explorers arrived in the 1500s. Sarasota’s history reaches back centuries, as it was first explored in the 16th century, and became a haven for fishers and marine traders in the 18th century. The area was originally predominately settled by Americans and Cubans, looking to trade fish and turtles between Havana and the colonies.The area was traded between Spanish and English rule until Florida became an official state in 1819. The original name of the Sarasota area was “Zara Zote,” although it eventually evolved into “Sarasota”.In the 1800s, it originally attracted pioneers because of its beautiful climate, and a thriving economy came about as many settlers moved to the area. Sarasota experienced its biggest economic boom period from 1920 to 1950, and many remnants of this culture can still be seen today.For example, it was at this time that the founding father of the Ringling Brothers Circus moved to the area, investing in land and founding a bank.His brothers joined him in Sarasota, bringing a new culture to the area as they founded the Ringling Museum – home to many pieces of great Baroque and Renaissance art even to this day. Today, Sarasota is home to many historic markers and modern-day activities that captivate people of all ages and interests. Sarasota vacation rentals offer you the opportunity to explore pieces of the past while still enjoying modern amenities, such as the many art galleries and shops available on the main street. Contact Jennette Properties today to start searching for the vacation rental in Sarasota that is perfect for you!